UFC 236 takes place at the State Farm Arena in Atlanta on April 14 (AEDT). 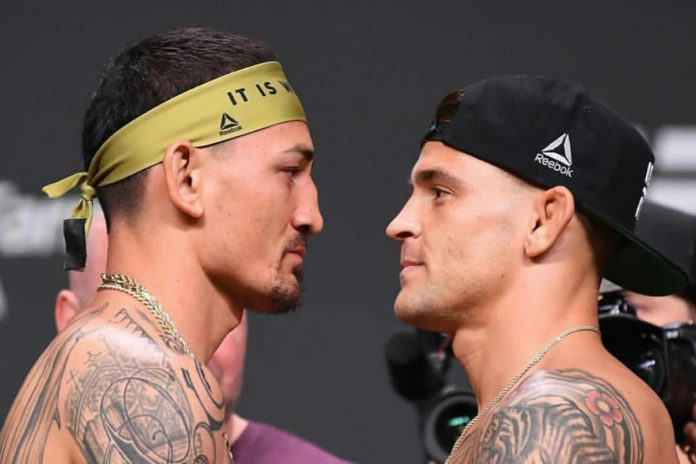 MMA event is headlined by two interim title fights, with Max Holloway and Dustin Poirier squaring off at lightweight, and Kelvin Gastelum and Israel Adesanya battling it out at middleweight. At the weigh-in ceremony conducted a day before the fight show all athletes made the required limit. Holloway tipped the scales as 155, while Poirier was 154.5. The bout serving as the main event, is scheduled for five rounds. Gastelum declared 184, and Adesanya weighed-in at 183. The five-rounder serves as the co-main event. Also on the main card Eryk Anders showed 205 for his light heavyweight bout against Khalil Rountree Jr., who was 206. Both welterweights Alan Jouban and Dwight Grant came in at 171. A light heavyweight battle between Ovince Saint Preux (206) and Nikita Krylov (205) kicks off the main card. The full fight card and weigh-in results for UFC 236 can be found below.